Established in 2016, we strive to be the best pawnshop in the area by providing all of our customers with a positive pawnshop experience. We want your business and strive to provide to you a service that is a cut above the competition. We are a proud member of the National Pawnbrokers Association. Over 20 years of experience in the pawn industry allows us to serve you with confidence. Whether you are an experienced pawnshop customer or it is your first time, we want your business. Our goal isn’t just to make you a pawn loan or to sell you an item; our goal is to make you a satisfied, long-term customer that feels like family at Chesapeake Square Pawn. Chesapeake Square Pawn was voted 2017 Best Pawn Shop for Western Branch, Churchland, and North Suffolk in the Virginian Pilot Best Of contest. We have also been designated as a Top Shop by PawnGuru.com. Maurice brings with him over 20 years of experience in the pawn industry. He began working in a pawnshop at the age of 17. Over the years he learned the business from the ground up and became a manager at what was then one of the best pawn shops in his area. He has been featured on Wavy TV 10’s Hampton Roads Show multiple times to explain the pawn process and how the general public can save money buying from a pawn shop instead of paying retail prices. He is a certified gemologist and is experienced in jewelry repairs and appraisals. He also has a vast knowledge of firearms, tactical and hunting equipment, and electronics. Maurice is a member of the National Pawnbroker’s Association and is one of only 11 Certified Pawn Professionals in the country! 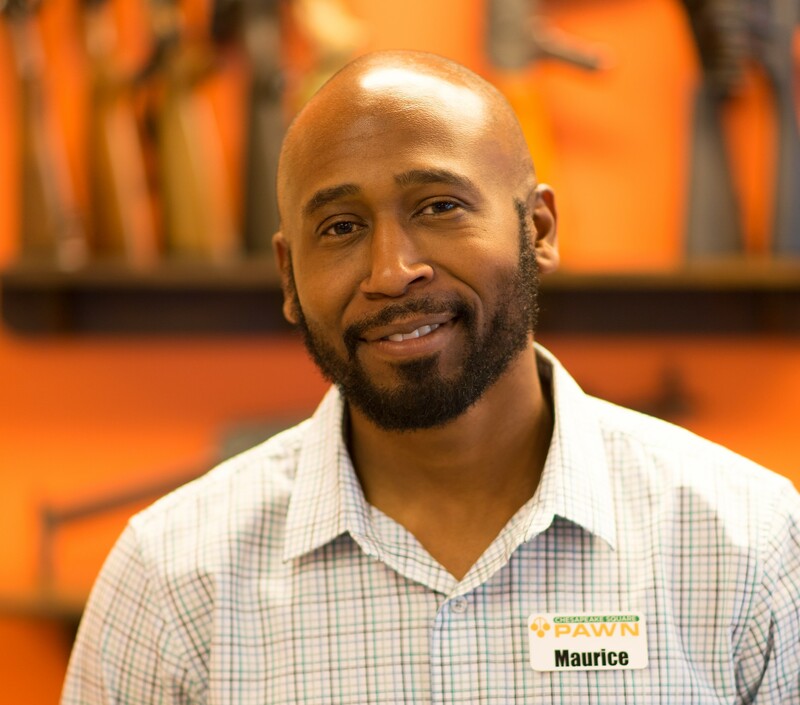 Maurice frequently networks with other pawnbrokers through attending pawn conferences and forums throughout the United States to better serve his customers. Mary-Kathryn has a love of fine jewelry and considers that to be her area of expertise. She is a certified gemologist and performs all of the appraisals at Chesapeake Square Pawn. As an experienced eBay and Craigslist buyer and seller of jewelry, electronics, fashion, and collectibles she knows the value of a good deal. She is always up to date with the latest trends in jewelry, design, and fashion. She is responsible for all of the interior design of Chesapeake Square Pawn. She is a member of the National Pawnbroker’s Association and is preparing to begin her journey to Certified Pawn Professional. 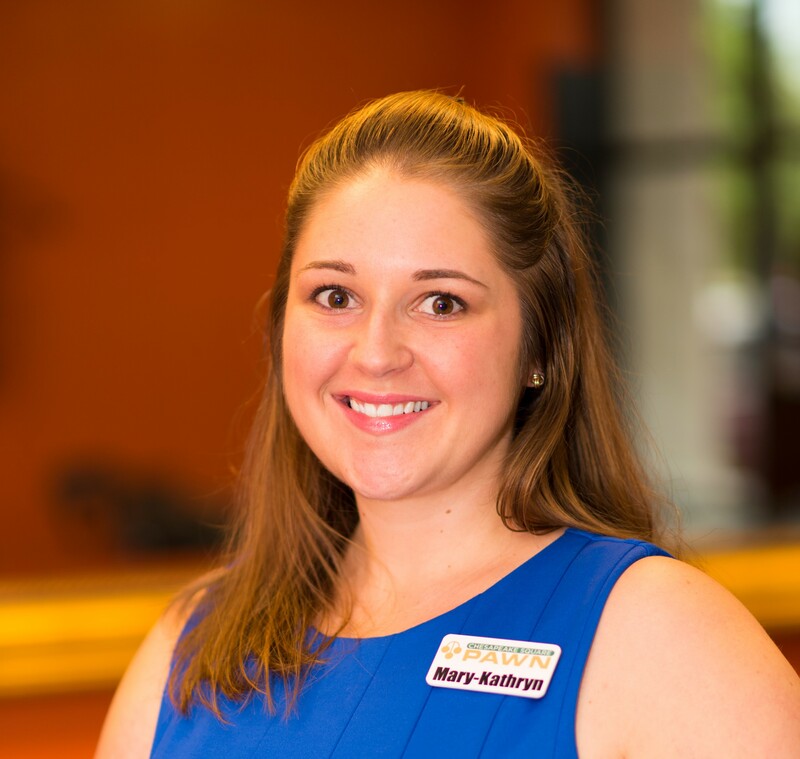 Mary-Kathryn holds a Bachelors degree in nursing (BSN) and continues to work as an Emergency Room Registered Nurse.